The Hollister New Image Two-Piece Closed Ostomy Pouch – QuietWear Pouch Material, Filter is designed with cloth-like material on both sides to reduce noise and be discreet as possible. The closed pouching system is best used for individuals with colostomies or stomas with less frequent output thus requiring less appliance changes. 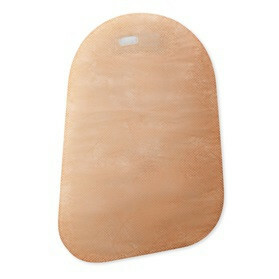 When stoma output is frequent, you may want to opt for a drainable pouch like the Hollister Premier Drainable Pouch. If the closed pouching design works well for you, the most popular size is the Hollister 18323 New Image Two-Piece Closed Ostomy Pouch with 2-3/4 Inch opening with blue flange color match. Hollister makes it easy to match the pouch with the corresponding skin barrier using the color match system of green, red, blue or yellow. 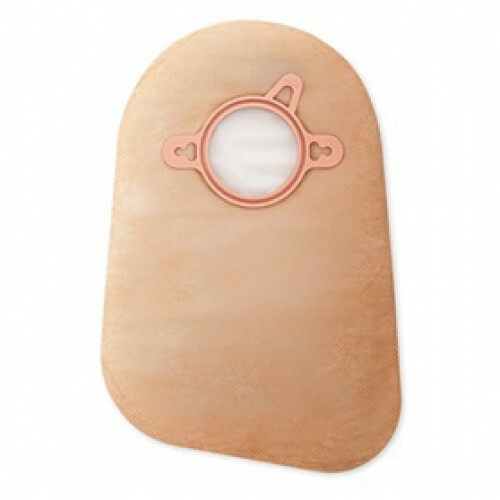 The beige colored New Image QuietWear Two-Piece Closed Filtering Ostomy Pouch is 9 inches in length and designed with an anatomical pouch shape. It features a AF300 filter that's designed to release gas slowly to prevent ballooning while deodorizing the gas. Purchase the pouches in a box of 30. The pouches come with builtin belt tabs for additional security when worn.